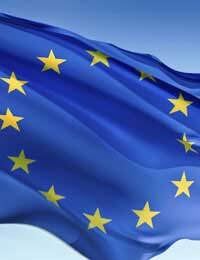 In 1998 a debate on human and civil rights and the European Union led to the creation of The Charter of Fundamental Rights of the EU. This charter consolidated civil, political, personal, social and economic rights into one visible text. The inspiration behind the debate on the new charter was the 50th anniversary of the Universal Declaration of Human Rights. This led to the creation of the new charter that would condense the various fundamental rights into one single charter. European Union leaders met in Cologne in 1999 to decide the actual contents of the charter and approval was given by the European Parliament in November 2000. In Nice in December 2000 the European Parliament, Commission and Union proclaimed the Charter of Fundamental Human Rights. The Charter was created to make the various rights that pertain to EU residents more visible. The charter sets out the rights in six individual chapters. These six chapters are divided into freedom, dignity, solidarity, equality, citizenship and justice. The charter sets out a huge variety of rights from the banning of cloning to the right to strike. Rights such as protecting personal data and bio-ethics mean that traditional human rights previously set out have been updated to include rights relating to the present day. The charter is included in the Lisbon Treaty but there have been problems with members of the EU actually signing this treaty. In June 2008 Ireland rejected the treated and under the rules of the European Union the treaty cannot be adopted if any of the members decline. At present 25 out of 27 member states have approved the treaty but it is still not actually in force under the rules of the European Union. One of the controversies surrounding the charter is that Britain does not want certain included rights to apply to them. The UK does not want the European Court of Justice’s legally binding judgements to apply to Britain in areas such as British labour laws. The UK negotiated certain protocols that meant that the charter could not create justiciable rights that were applicable to Britain. Britain also ruled that the charter could not allow the court to rule that UK laws are contradictory to fundamental rights. If this charter does become legally binding then the citizens of the European Union can use it to challenge a number of decisions regarding their fundamental rights. If EU citizens felt that their rights were being infringed upon they could use the charter to bring the matter before a judge in their home country. The European Commission can also challenge other European Union member states under the conditions of the charter if certain fundamental rights are infringed or breached. The Charter for Fundamental Rights of the EU is still not legally binding. However, it has already influenced many decisions and judgements in the European Court of Justice. If the new Reform Treaty is eventually adopted then the charter will become a legally binding document. Until the charter is legally binding the decisions that it influences in the courts will be a controversial issue. Are refreshments provided for break time (statutory 20 mins if you work longer than 6 hours). You need to give a little more information about other provisions made for them and whether you've asked your employer for reasons for this.